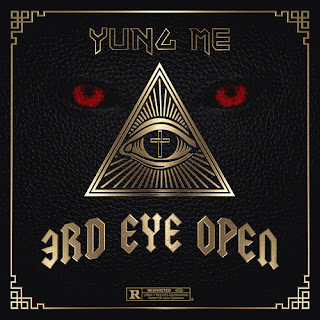 Wrap-Up Magazine: Yung Me (@YungMeYungMe) - "3rd Eye Open"
Yung Me (@YungMeYungMe) - "3rd Eye Open"
Jackson, Mississippi artist Yung Me releases his latest project entitle "3rd Eye Open". "3rd Eye Open" is a eleven track project that is lead by his singles entitled "Crosses" and "Go Crazy" featuring BPace and Kxng Heem. It also includes features from Cap 1, Lil Tank, Kvng Zeakyy, Sauce Walka, Milli Montana and Mohead Mike.